Superman star Christopher Reeve, who lobbied for medical research after being paralysed in a fall nine years ago, has died aged 52. He had been suffering from an infection as a result of a pressure wound and died on Sunday, his publicist said. He suffered a cardiac arrest at his New York home and slipped into a coma, Wesley Combs added. Reeve was paralysed in 1995 when he broke his neck after being thrown from a horse. He later became an advocate for spinal cord injury research. In recent years, he had regained sensation in some parts of his body. Reeve`s wife Dana said in a statement: "On behalf of my entire family, I want to thank Northern Westchester Hospital for the excellent care they provided to my husband. I also want to thank his personal staff of nurses and aides, as well as the millions of fans from around the world who have supported and loved my husband over the years." Democratic presidential candidate John Kerry, who called Reeve a friend, led the tributes to the actor and campaigner for funding for stem cell research. "He was an inspiration to all of us and gave hope to millions of Americans who are counting on the life-saving cures that science and research can provide," said Mr Kerry. "He met every challenge with a courage and character that broke new ground in this struggle," he added. Reeve had made a return to acting since his accident, appearing in a 1998 production of Rear Window, a modern version of the Alfred Hitchcock thriller about a man in a wheelchair who becomes convinced that a neighbour has been murdered. The role won him a Screen Actors Guild award. Reeve was a virtual unknown before he shot to superstardom in the 1978 blockbuster Superman. Thanks to meticulous preparation and close physical resemblance to the comic-strip hero, producers gave him the part. The film and its three sequels turned Reeve into a worldwide star and grossed $300m in the US alone. Actress Susannah York, who played Superman`s mother, told BBC Radio Five Live Reeve had "enormous goodness of soul and courage". "I felt terribly proud to play his mother. When I was doing the film I thought `Wow, this guy is terrific`. 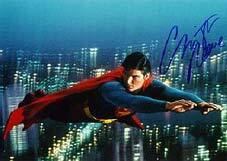 He was a very real contender for a Superman hero figure, because of his courage and generosity of spirit. He was fun. I think he was great... what he set out to do since his accident... I admired him incredibly." His publicist, Wesley Combs, told the BBC: "He inspired people in ways I think were surprising to some, but obvious to others, but he was a courageous individual who lived by the mantra `nothing is impossible` "He had a unique optimism, he had a true belief at looking at the best part of a situation. He did not look at it as being an obstacle, he looked at is as a challenge." Reeve became a tireless campaigner for research into spinal chord injuries and other disabilities and was seen regularly at the US Congress, lobbying for better funding. Professor Colin Blakemore, chief executive of the Medical Research Council, told BBC Radio 4`s Today programme it took commitment like Reeve`s to carry research forward. “He always said that he was working for himself and was convinced that there would be a cure, but I think probably deep in his mind he knew his efforts would be far more likely to pay off for others than for him. His memory will serve as inspiration for the work of the Christopher Reeve Paralysis Foundation and we will continue in his honour to be steadfast in our goal of finding treatments and cures for paralysis," said Kathy Lewis, the foundation`s president. The family has asked that any donations should be made to the Christopher Reeve Paralysis Foundation, based in New Jersey.